These classic lever back drops add an effortless pop of color to any outfit! 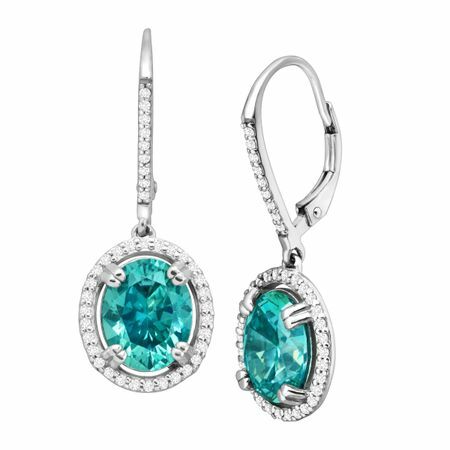 Oval-cut bright teal Swarovski zirconia is haloed by round-cut white Swarovski zirconia, all in a setting of polished sterling silver. Pieces measure 1 1/4 by 7/16 inches.